Freddie Roach turned pro on August 24, 1978 with a unanimous decision victory over Roberto Vasquez in Boston, MA. He quickly ran off 10 straight wins before taking his first defeat to Beto Nunez (19-3) in Nunez’s home town of Phoenix by decision. Roach battled on and ran off another winning streak. This time he went nearly 3 years before losing again. But when he did, he lost back-to-back matches against two highly regarded contenders. He was a relentless punching machine, he was technically skilled, but could still be hit enough to make for some crowd pleasing brawls. He was very “TV Friendly” and became a favorite with Las Vegas boxing promoters and the fairly new ESPN cable network. Freddie was 30-3 when he fought for his first title belt. It was April 14, 1983 when he took on unbeaten Louie Burke (13-0) for the ESPN Jr. Lightweight Championship. It was an all-time classic battle with the two slugging it out for the full 12 rounds. When the dust settled, and the smoke cleared it was Burke who took a close but unanimous decision and left Las Vegas Nevada with the ESPN strap. Roach bounced back with 2 huge wins. First he stopped Reynaldo Zaragoza (22-3-1) in 8 rounds, and then scored a unanimous 10 round win over Carlos Bryant (12-8-2, 6 ko) in what turned out to be Bryant’s last pro bout. 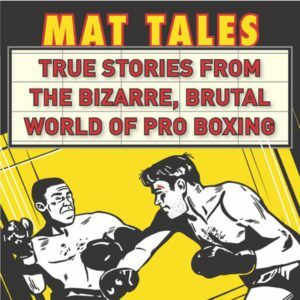 Roach wanted another shot at Louie Burke, and he got it – Nov. 10, 1983 on the undercard of Marvin Hagler/Roberto Duran. This time it was a 10 round non-title bout, but it was the same result. An all out brawl with Burke again taking the victory on all 3 judges scorecards. Those wars with Burke only made boxing fans want to see Freddie Roach even more. Freddie finished his career from that point going 8-8, but faced the very best in the game including: Tommy Cordova (for the vacant ESPN Jr. Lightweight Title belt), Bobby Chacon, Jaime “Rocky” Balboa, Greg Haugen, and Hector Camacho. During that stretch he got a shot at the WBC Continental Americas Lightweight Title in 1986, losing a decision to champion Darryl Tyson (23-1, 12 ko’s). Freddie’s last win came on Aug. 14, 1986 when he forced 50 fight veteran Arnel Arrozal to not come out for round 6. Freddie’s last pro bout was fought just two months later. He dropped a very tough battle with unbeaten David Rivello (9-0, 4 ko) by decision. 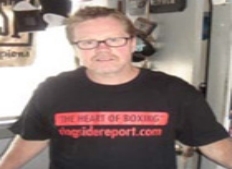 Freddie Roach was a fighter’s fighter, and that’s probably why he has become one of boxing’s most celebrated trainers guiding the careers of boxing’s best including: Manny Pacquiao, Miguel Cotto, Lucia Rijker, Amir Khan, and many others. Freddie did not have the big knockout punch, but his heart and tenacity made him a top 20 contender for most of his exciting career, and a definite fan favorite too.